For more information on the deep roots and rich history of Resolute and its predecessors, you can purchase the recently published Resolute Roots by clicking here. We’ll be publishing brief excerpts from the book over the next few weeks under the Resolute Roots tag. The roots of the Bowater branch of the Resolute family go back to 1910, when William Vansittart Bowater and three of his sons formed W.V. Bowater and Sons, a paper wholesaler and agent. Bowater got into papermaking when he built a paper mill east of London, at Northfleet, that began production in 1926. A second mill, in Ellesmere Port, was added in 1931, and two more mills were acquired in England in 1936, none of which are in production today. A grandson of William, Eric Bowater, joined the company in 1921, and he soon climbed the ranks, making acquisitions that positioned Bowater as the largest newsprint business in Europe. In 1938, Bowater bought the Corner Brook newsprint mill in Newfoundland (Canada) from International Paper. (The mill was sold to Kruger, its current owner, in 1984). Bowater’s first venture into the United States was in Calhoun (Tennessee), where the company started producing kraft pulp and newsprint in 1954. Some of the pulp production was shipped to the United Kingdom for use in Bowater’s local newsprint mills. The Mersey newsprint mill in Brooklyn (Nova Scotia) was founded in 1929 by wealthy Montréal financier Izaak Killam, at about the time of the Wall Street crash. It ran at a profit during the 1930s, while many competitor mills foundered, and became a Bowater property in 1956 when it was purchased from Killam’s widow. The Mersey mill was closed in 2011. Bowater’s second U.S. facility, in Catawba (South Carolina), started producing kraft pulp in 1959 and lightweight coated paper (LWC) in 1962. This was the first time LWC had been made from southern pine fibers, a process which presented many new challenges. The mill overcame the issues, and the paper became known as one of the highest quality coated sheets in the industry. 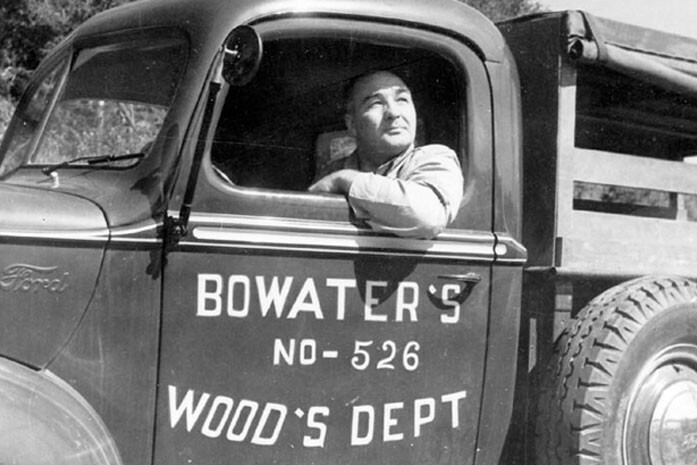 The original Bowater operations are today part of Resolute Forest Products. If you would like to learn more about the history of Resolute and its many predecessor companies, you can purchase the recently published Resolute Roots, by clicking here.